Settling has never been an option for Jimmy Brady. He begins every case with the end result in mind. His long-standing principles of accountability and professionalism have allowed him to build a successful defense practice. Jimmy believes you can never be too prepared. So, he works tirelessly to find the most strategic, cost-effective solutions for his clients, both large and small. 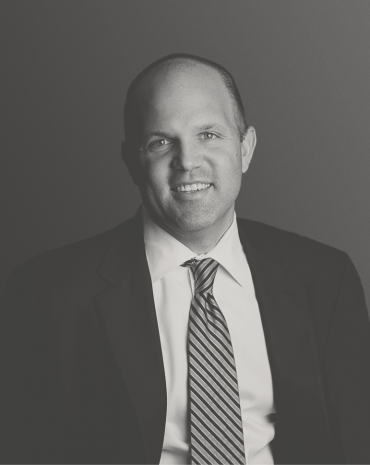 Since joining the firm in 2005, Jimmy has fought tenaciously for clients, successfully litigating claims and earning defense verdicts in the areas of construction, employment and fraud / bad faith insurance litigation. Jimmy knows how to apply the strengths of his team, and his clients, to build a sound defense. In addition to his practice, he is often commissioned to provide analysis and legal recommendations to insurance companies facing difficult issues concerning coverage. He also brings his detail-oriented approach to pro-bono opportunities, providing counsel in the area of family law to those unable to afford an attorney. For his efforts, Jimmy received the highest Martindale-Hubbell review rating of AV Preeminent®. Outside of work, Jimmy makes the most of his time with his wife, Becca, and their daughters Olivia and Scarlett. Jimmy earned his BS from The University of Alabama and his JD from The University of Alabama School of Law. Defense verdict for Allstate in a case involving arson and “bad faith” arising from a fire at an investment property. Successfully argued complete dismissal of Plaintiffs’ claims of breach of contract and “bad faith” following alleged claims of damage to Plaintiffs’ home, business and personal property items. Defense verdict for Allstate Insurance Company in federal court wherein plaintiff alleged extensive property and structural damage resulting from a storm loss. Secured an Order of Dismissal in favor of Allstate Insurance Company after filing Complaint for Declaratory Judgment. Plaintiffs responded by filing counterclaims of breach of contract, “bad faith” and fraud alleging that their claim had been constructively denied. Defense verdict for Allstate Insurance Company following Plaintiffs’ allegations of breach of contract and “bad faith”. Plaintiff contended that his home was broken into and thousands of dollars of stolen items which were never present. Routinely provides recent Alabama case law updates to insurance clients and adjusters.